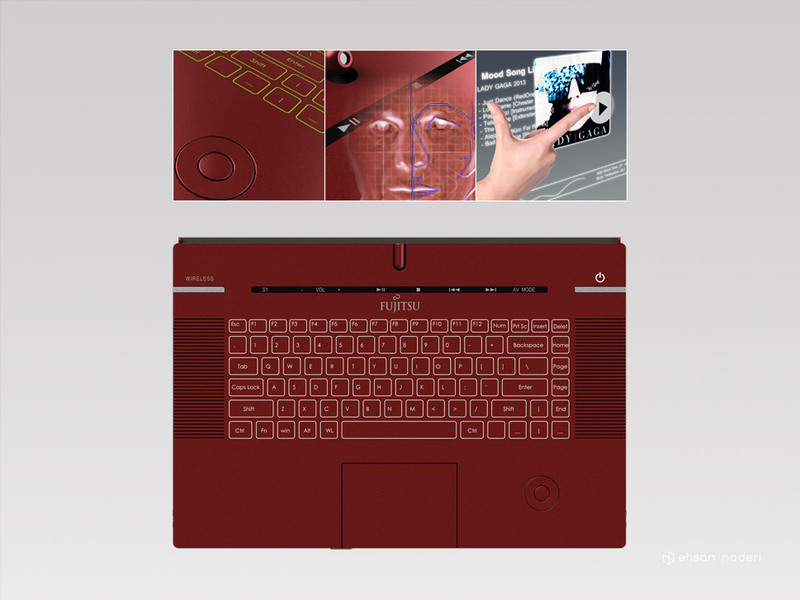 Hologram Laptop (# 1) was shortlisted in Fujitsu Design Award 2011: A Life with Future Computing (Among 3354 designers from 99 countries). 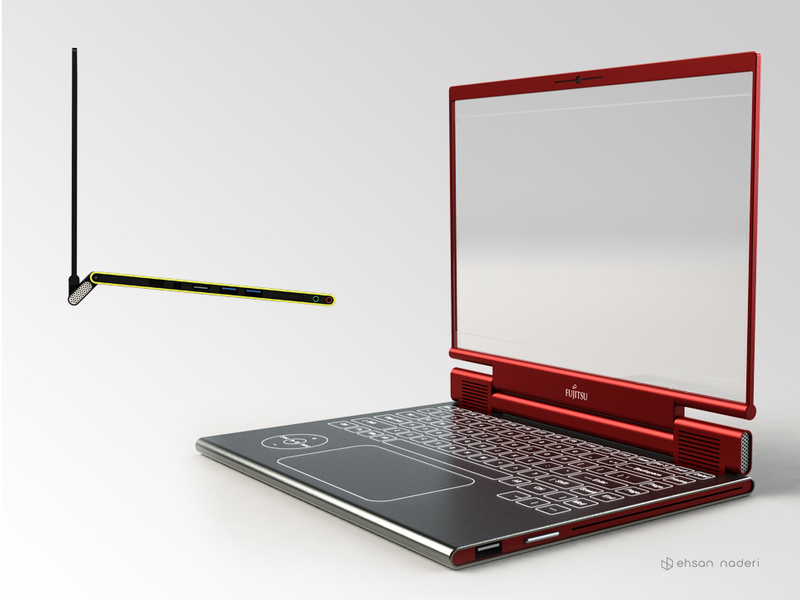 Competition targeted next generation of Fujitsu Lifebook product line for 2013. Target market: 3d content developers, gamers, animators, and professional users. 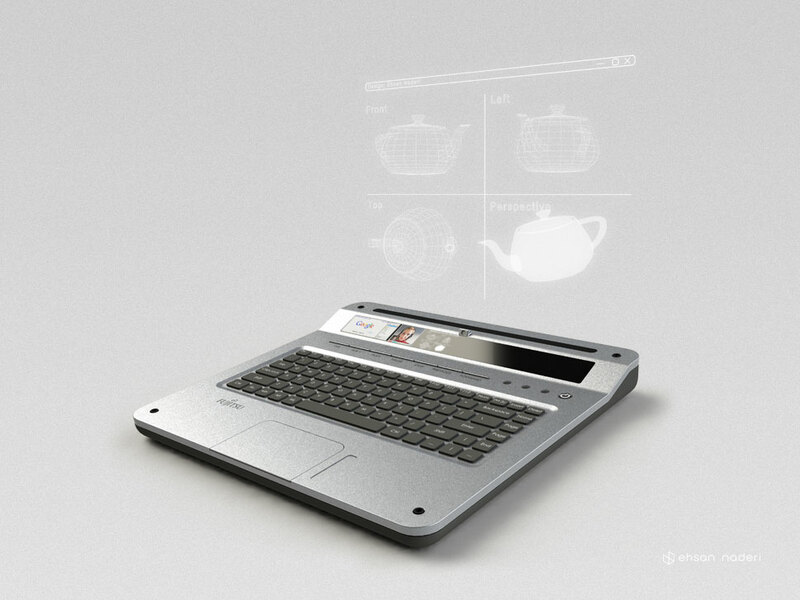 3D Hologram images enhance professionals’ workflow. The angled display bar shows the current open windows. It enables user to easily switch to another window. In addition to multi-touch pad, the scroller/zoom pad has been designed separately to provide more flexibility and smooth workflow. 2 – Holo Mood: By changing user mood (captured user’s face and gestures) the theme of running applications change to address user mood. suggests customized entertainment contents for current user mood. The color of Keyboard’s LED backlit also changes by identifying user mood and the social networks shows available friends in the same mood to be contacted. birgit lohmann, chief editor of designboom.